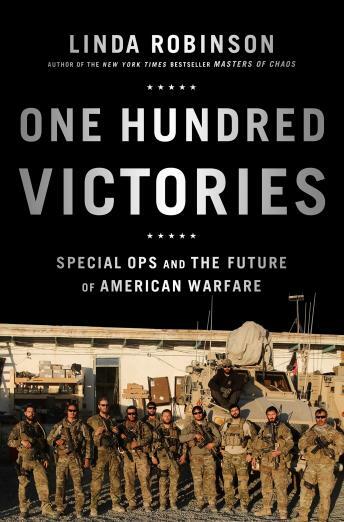 In One Hundred Victories, acclaimed military expert Linda Robinson shows how the special operations forces are—after a decade of intensive combat operations—evolving to become the go-to force for operations worldwide. Robinson has spent much of the last two years in Afghanistan studying the evolution of special ops in their largest and longest deployment since Vietnam. She has lived in mud-walled compounds in the mountains and deserts of insurgent-dominated regions, and obtained exclusive, sustained access to special ops missions, troops, and commanders. She shows the gritty reality of the challenges they undertake, and the constant danger in which they operate. In Afghanistan, SOF have not only faced a determined foe, but also had run-ins with the CIA, found themselves unsupported by conventional forces, and been under constant shellfire from Pakistanis across the border. Incorporating on-the-ground reporting and interviews with key players inside the national defense community, Robinson shows how the special operations are becoming the future of U.S. military strategy.